All Outdoor Desings is the smartest way to attract more customers and keep them coming back. No Hassle. We Manage Everything - Even Your Updates..
What Makes All Outdoor Designs Different? AllOutDoorDesings is an exciting new service for Charter Captains, Hunting Guides, and Tackle Shops any Outdoor related E-Commerce businesses. We've been building websites and digital marketing campaigns for small businesses and fortune 500 companies for years, but when we started working with outdoor companies we truly found our passion. We love the outdoors, whether it be fishing, camping, hiking, or hunting, we just can’t seem to get enough. Because of this, we decided to change our business model and focus solely on the outdoor market. For us, this was a dream come true because we get to interact with so many people that love to do the same things we love. We also know that managing an outdoor business is tough. Your focus should be customer satisfaction, not worrying about updating your website, figuring where to get the word out, reminding customers to give you reviews, collecting emails for future sales, or dealing with social media campaigns. This is where we come in. 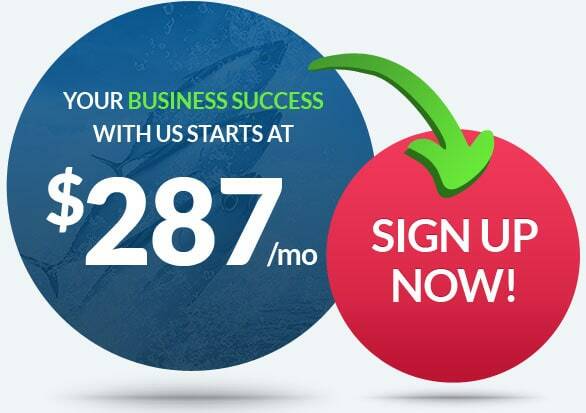 Quite simply, when you sign up with us you get everything listed below for a single monthly fee and all you have to do is do what you do best. We take care of the rest. So what exactly do you get with an AllOutDoors subscription? With the adoption of mobile technology steadily increasing, coupled with the on-going improvements to 4G availability, more and more of us are using mobile devices whenever and wherever! In fact, there are now more mobile users than desktop users. When potential customers use websites that are optimized for a mobile experience, they are 160 percent more likely to convert. That means you fill your calendar up faster. Just to add even more value to your subscription, you will get a new mobile friendly website every 24 months! This will ensure your site meets changing browser technology and ranking algorithms. We know you are on the go. You're either on the water, out in the field or busy managing your store. You don't have time to constantly check your e-mails. Well, now you don't have to. 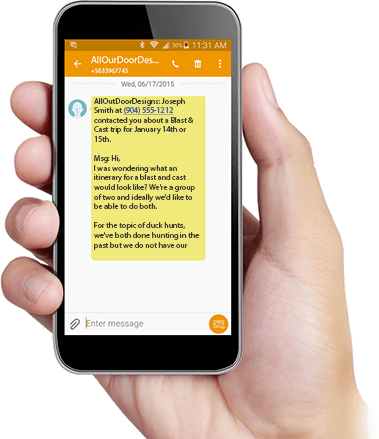 When a customer books a trip, has a question, or a payment is received, you will get notified via a customizable SMS text message immediately. Simply click on the link to respond to your customer. 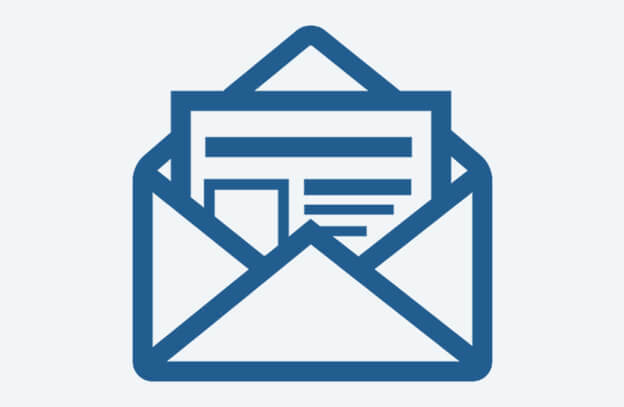 Every month we design a graphical newsletter template specifically for your business that you can send out to your customers. 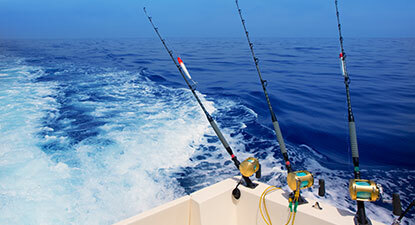 For example, if you are a Charter Captain you will receive templates designed around the fishing and hunting season (e.g. Grouper or Blast and Cast). If you are a merchant then you will receive templates for holidays and specials you may have. We are flexible in our service so we will work with you to determine the best types of templates to help propel your business forward. The number of online consumers who read and trust online reviews is increasing at an outstanding rate. In fact, according to a survey by BrightLocal, 88 percent of consumers trust online reviews as much as a personal recommendation—which is astounding. So how do you get your customers to rate you so that you can take advantage of this? That's where we come in. 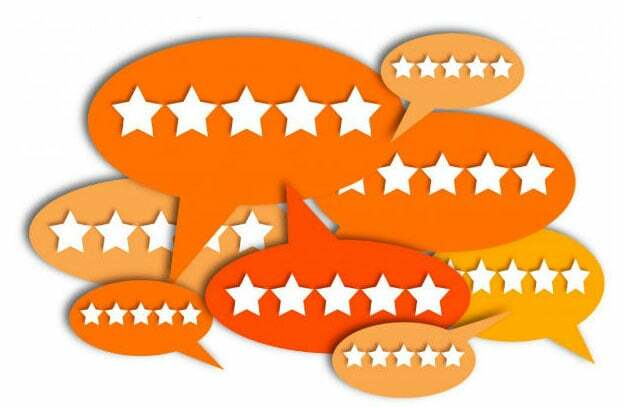 We will design a custom ratings campaign that is automatically sent out to your customers to encourage them to rate their recent experience with you. 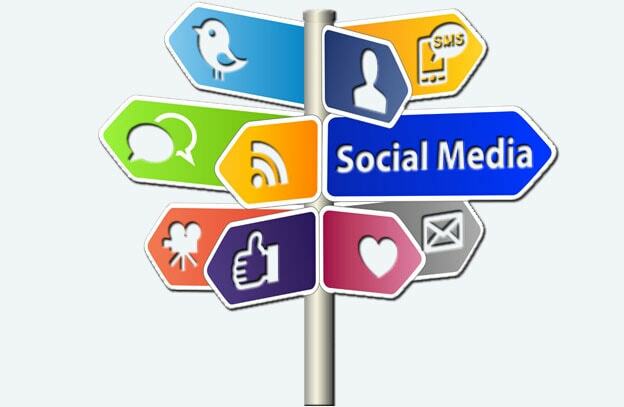 Social media generates a huge amount of information about potential customers in real time. Every day there are over 500 million Tweets, 4.5 billion Likes on Facebook, and 95 million photos and videos uploaded to Instagram. How do you take advantage of all this? 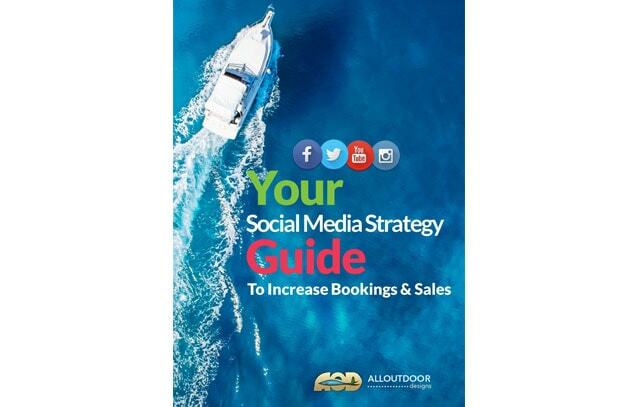 With AllOutDoors you are going to get a 90-Day Social Media Roadmap that will give you a jumpstart to the right social media networks you should use to reach more customers. This will help you fill your calendar, increase sales and expand your branding. There are many who know how to post, but almost no one does it strategically. We’ll teach you how. Stay on the cutting edge of your fishing, hunting or outdoor products business with a special report focused on a key area of marketing each month. We are the first in the industry to produce a series of special guides that focus on different strategies you can use to maximize your business. These guides will get your business on the right track! Need to make content changes or updates to your website? Let us know what you need done and we will take care of it for you at no extra charge. 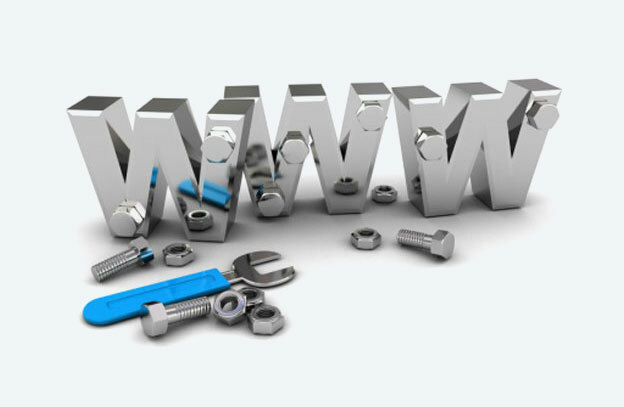 You are running your business, let us take care of your website. Plus...there's even more you get to help your business grow. For a complete list, go to our Get Started page. Are your bookings down? Are your sales lackluster? If so then it is time for a new website. If your search engine rankings are low and your visitors are not sticking around to get more information about your charters or products, then it's a pretty strong indicator that they aren't finding what they need or want. Like the saying goes, "you never get a second chance to make your first impression". We will build a custom designed, easy to navigate, mobile ready, engaging website that translates your brand into credibility and trustworthiness so that your business makes that great “first impression”. That is the whole reason you have an online presence - to tell visitors about your fishing charters, hunting trips or your outdoor products? If a potential customer can find the information they need about your business and easily reach out to you then the probability for securing that customer skyrockets. More and more of your customers are using their tablets and smartphones to perform searches online. In fact, Google says that more searches are done from mobile devices than desktops. Not having a mobile ready website will cost you sales and search engine rankings. Don't miss out on potential customers; get a custom designed mobile site today. start filling your schedule or their cart now! We know your time is valuable and that you are probably on the water fishing, in the field hunting, or in the shop selling. Whatever it is you are doing, we know you are busy and constantly on the go. Because of this, we want to make it easy for your customers to contact you and for you to be able to respond. How do we do this? We have a special SMS Text service that will ping your phone every time a trip is booked or a sale is completed. Additionally we'll follow that up with an e-mail to make sure you never miss an opportunity to book your next client or get that sale. What's included in the total system? 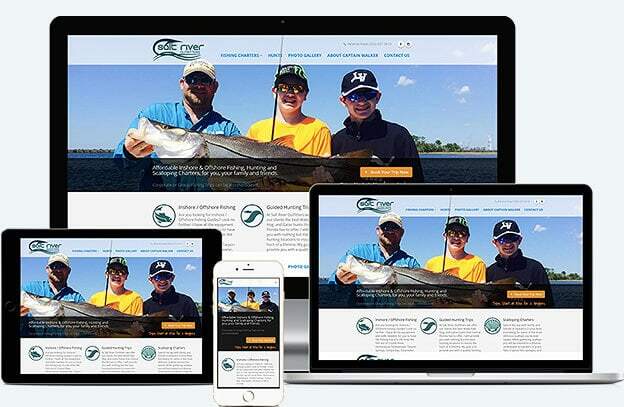 You get a custom website designed specifically for your Fishing Charter, Hunting Guide, or Outdoor Product business. Everything you see above plus is also included as well as the items on our Get Started page. Your new site will be mobile friendly, easy to manage and hosted on secure Rackspace servers for the highest levels of performance and up-time. We will also handle all your content updates for you so that you can get back to doing what you do best. Nope, our plan is simple, “pay as you go”. You can cancel at anytime. There are no contracts, so no muss no fuss. If for any reason, you need to cancel your account, make sure you back up your personal content prior to the cancellation request. If you need help with this, we will be glad to assist. Remember, we are here for you, even if you must leave us. No harm, no foul. If for whatever reason you are unhappy with our service, then you can choose to cancel at any time. We aim to please, and while we’ll be unhappy to lose you, we understand. Can I have an ecommerce store to sell my products? Yes you can. We offer an easy to use web store that can connect to more than 50 different payment providers. We'll get you set up and teach you how to manage your products and sales online. I have my own domain name, can I use that? Sure you can or we will help you find the perfect domain name and get it set up for you. We will also take care of creating your email accounts and getting everything set up on your mobile devices. It usually takes 4-6 weeks after we receive your content, pictures, and logo to build your website depending upon your requirements. Yes. There is no "Field of Dreams". Your site may need a kickstart and we're here to help. We offer a variety of services to include SEO, Content Marketing, Google Adwords, and Facebook / Instagram advertising to name a few. 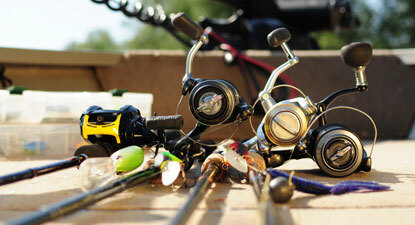 Web design and internet marketing exclusively for fishing charters, hunting guides and outdoor ecommerce websites. Let us know the best way to contact you and we will start boosting your business today.